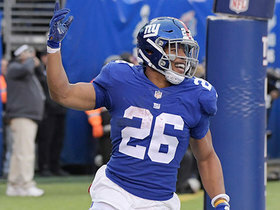 Barkley finished his rookie season as the NFL's top running back in terms of PPR scoring, narrowly edging out the Panthers' Christian McCaffrey. He also became the third rookie to eclipse 2,000 yards from scrimmage (Eric Dickerson, Edgerrin James). Analysis: Barkley's strong showing was thanks in large part to his NFL rookie-record 91 catches to go along with 15 total score. He'll be among the top few players off the board in 2019 fantasy drafts, if not first overall. 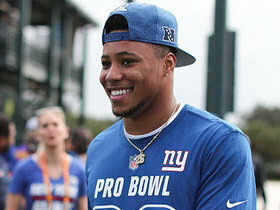 If the Giants can complement Barkley with improved quarterback play, the sky is the limit for the 21-year-old. 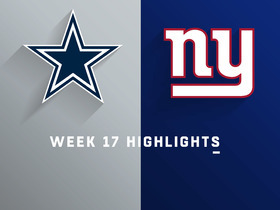 Barkley carried 17 times for 109 yards and a touchdown during Sunday's 36-35 loss to the Cowboys. He also caught four passes for an additional 33 yards. Barkley rushed 21 times for 43 yards and a touchdown and caught five of seven targets for 34 yards in Sunday's 28-27 loss to the Colts. Analysis: Barkley rushed off left end to get the scoring started on the day with a one-yard touchdown in the first quarter. It was fortunate for his fantasy owners, as he turned in a second straight dud from a yardage standpoint. 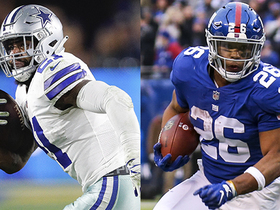 The rookie standout will look to get back to his usual level of production at home Week 17 against a Dallas defense likely to rest many of its starters after already having clinched the NFC East. Barkley rushed for 31 yards on 14 carries, adding four receptions for 25 yards during Sunday's 17-0 loss to Tennessee. Barkley rushed 14 times for 170 yards and a touchdown while catching four of five targets for 27 yards in Sunday's 40-16 win over Washington. 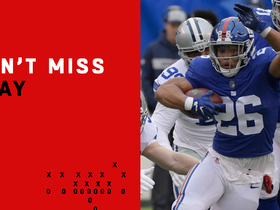 Analysis: Barkley set the Giants' franchise record for touchdowns by a rookie in style, going all the way on a 78-yard scamper in the second quarter for his 13th of the season. Despite seeing a modest 18 touches due to the blowout nature of the contest, Barkley came up just three scrimmage yards short of reaching 200. He'll continue to be a set-and-forget RB1 against the Titans in Week 15. Barkley said Monday he doesn't feel any pain in his shoulder, Jordan Raanan of ESPN.com reports. 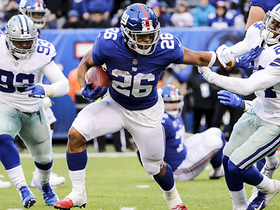 Barkley rushed 24 times for 125 yards and brought in three of four targets for 21 yards in the Giants' 30-27 overtime win over the Bears on Sunday. Barkley carried 13 times for 101 yards and a touchdown Sunday against the Eagles. 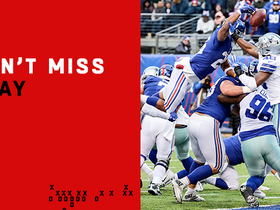 He also caught seven passes for an additional 41 yards and a touchdown in the 25-22 loss. 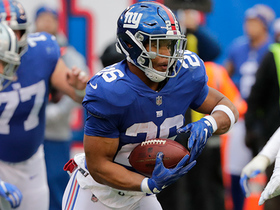 Barkley rushed 27 times for 142 yards and two touchdowns and hauled in two of three targets for 10 yards and another touchdown in the Giants' 38-35 win over the Buccaneers on Sunday. 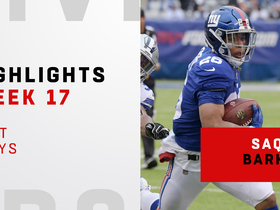 Analysis: Eli Manning completed 95.0 percent of his passes, but he was still overshadowed by Barkley's exploits, which included career highs in carries and rushing yards. The 2018 second-overall pick added his first receiving score since Week 5, even as his reception total equaled his lowest since the opener. 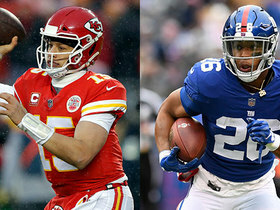 Barkley's usage figures to remain sky high when the Giants tangle with the Eagles in a Week 12 divisional road battle. 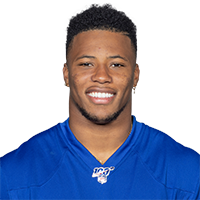 Barkley rushed 20 times for 67 yards and caught four of five targets for 33 yards in Monday night's 27-23 win over the 49ers.